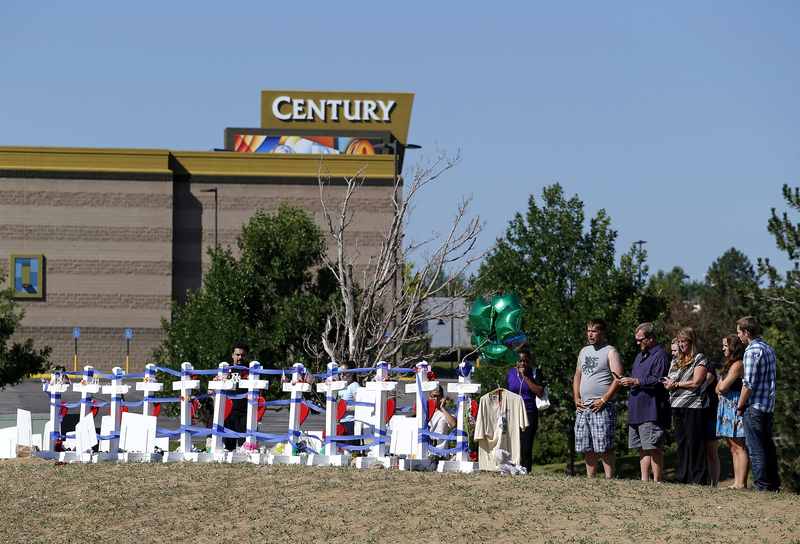 CENTENNIAL, Colo. -- Jurors in the Colorado theater shooting case on Thursday viewed autopsy photos of some of the 12 people who were killed in the attack, a graphic ending to the fourth week of the death penalty trial that is expected to run through the summer. Prosecutors called Arapahoe County Coroner Kelly Lear-Kaul, who examined the bodies of six people, including that of the youngest victim, 6-year-old Veronica Moser-Sullivan. Lear-Kaul said the girl was shot four times, with bullets tearing through her abdomen. Over defense objections, the judge allowed Lear-Kaul to use a mannequin to show jurors where and how the victims were injured. The testimony capped a week in which other investigators described the trajectories of gunshots through the theater, and more survivors told dramatic stories of escaping the gunfire. Court is in recess Friday. James Holmes, 27, has pleaded not guilty by reason of insanity to murder and attempted murder stemming from the July 2012 shooting at a premiere of the Batman movie "The Dark Knight Rises" in suburban Denver. His trial could last five months. District Attorney George Brauchler said Thursday that prosecutors have already called 144 witnesses, including 51 victims, and have introduced 2,085 pieces of evidence. Their presentation of the case could last another four weeks. It's all part of their effort to prove beyond a reasonable doubt that Holmes was sane at the time of the attack. Also Thursday, Aurora police homicide detective Thomas Wilson testified about the items he collected in Holmes' apartment, including prescription pills found in a medicine cabinet. They included clonazepam, used to treat panic attacks and seizures, and the antidepressant sertraline. The drugs were prescribed for Holmes by Lynn Fenton, a University of Colorado psychiatrist who had treated him and shared concerns about him with a university police officer. Prosecutors have said Holmes sent her threatening text messages before he stopped seeing her. Prosecutors also showed Holmes' financial documents, such as bank statements, from the months before the shooting, while Holmes was collecting an arsenal of weapons and body armor. They argue the meticulous record-keeping counters defense attorneys' claims that Holmes was in the grips of a psychotic episode at the time.